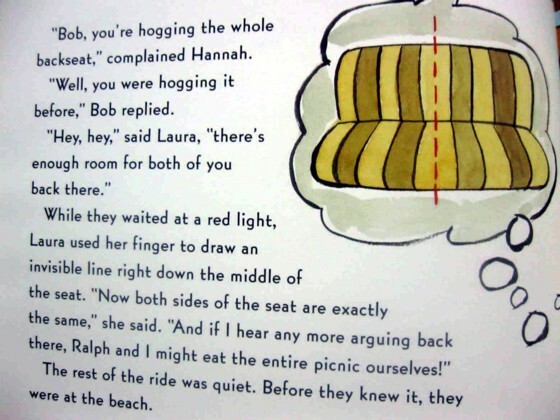 Grade 1-3-Bob and Hannah argue over everything during their day at the beach-how to decorate the kite they are going to fly, sharing the backseat of the car, who gets the last sandwich, and who sits where on the beach towel. Their resourceful baby-sitter finds a solution to each problem using the concept of symmetry. Floca's watercolor-and-ink-line cartoons enhance the story and ably depict the method used to divide everyday objects into two equal parts. Examples of nonsymmetry are shown in each situation (e.g., dividing the kite horizontally so that the bottom half is larger), thus adding to the story's conflict and encouraging a better understanding of the concept. 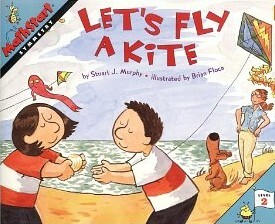 The book would work best as a read-aloud to start or supplement a lesson on symmetry. Follow-up activities are appended. Teachers and students will appreciate this useful book. 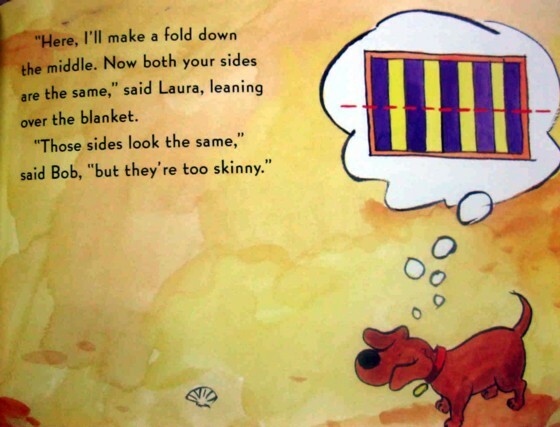 Cute math book about symmetry. 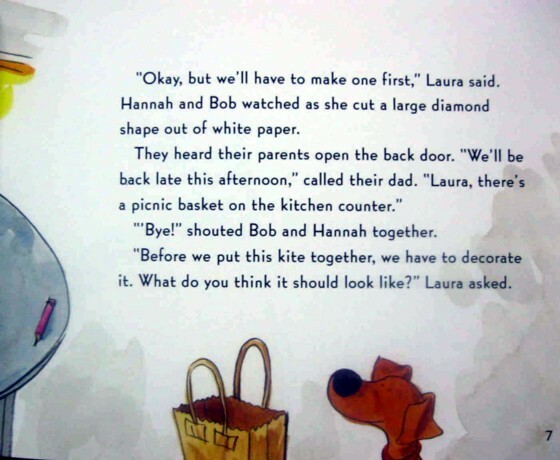 It's nice that there are books about math comprehension and that are fun to read. It changes the regular workbook mentality about Math.